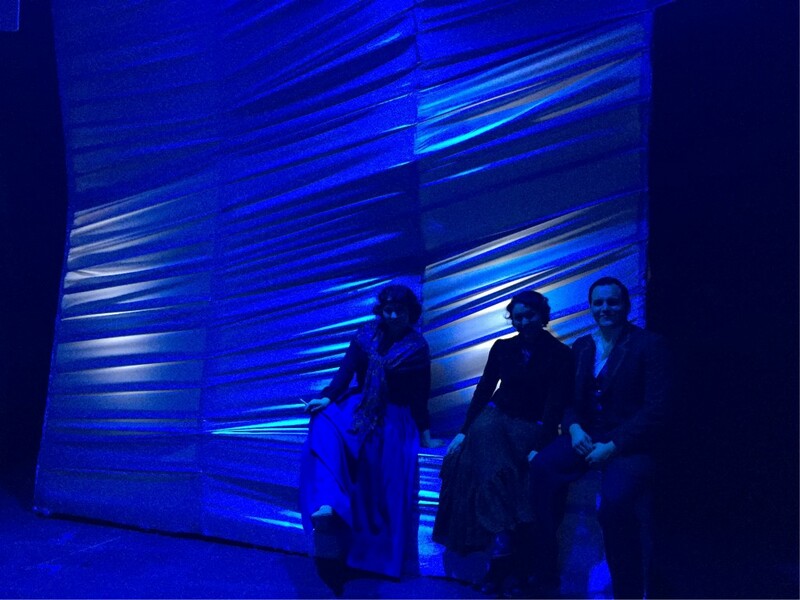 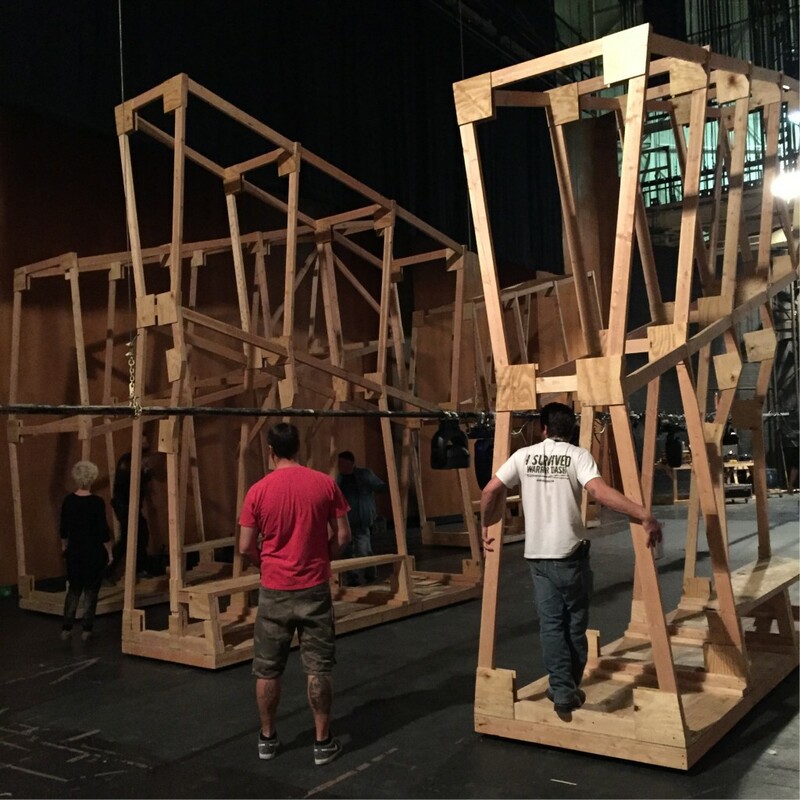 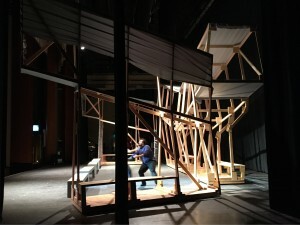 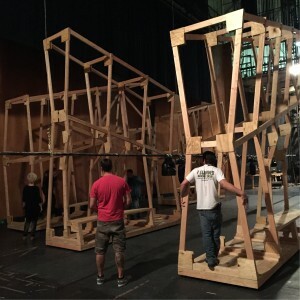 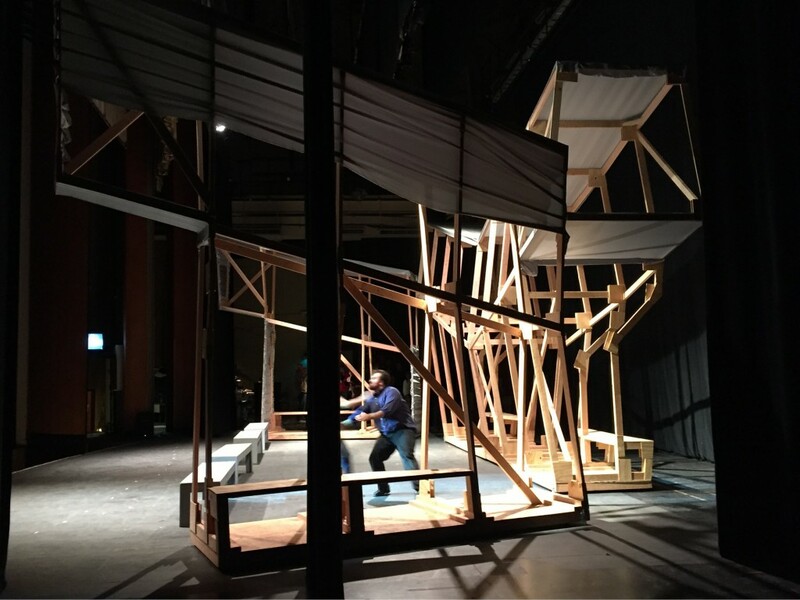 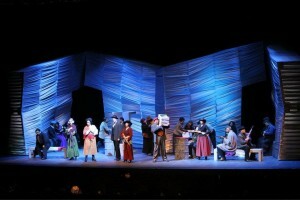 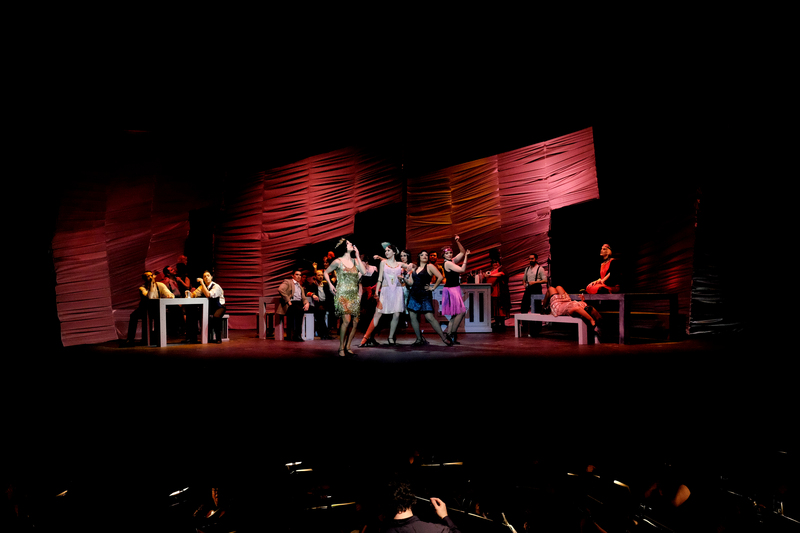 Evolving Skyline is a set design for a production of Bizet’s ‘Carmen’. 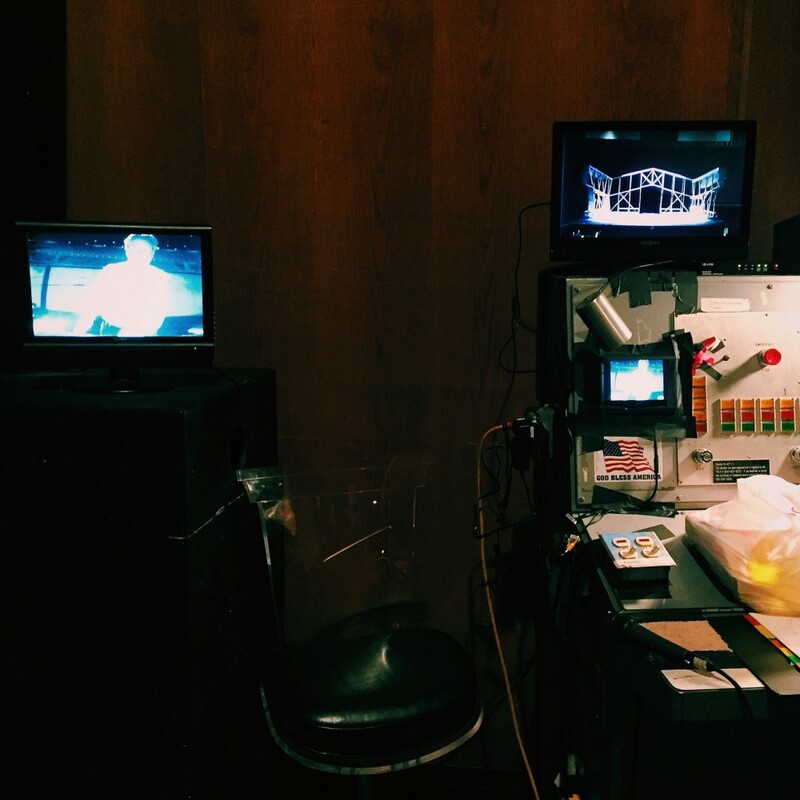 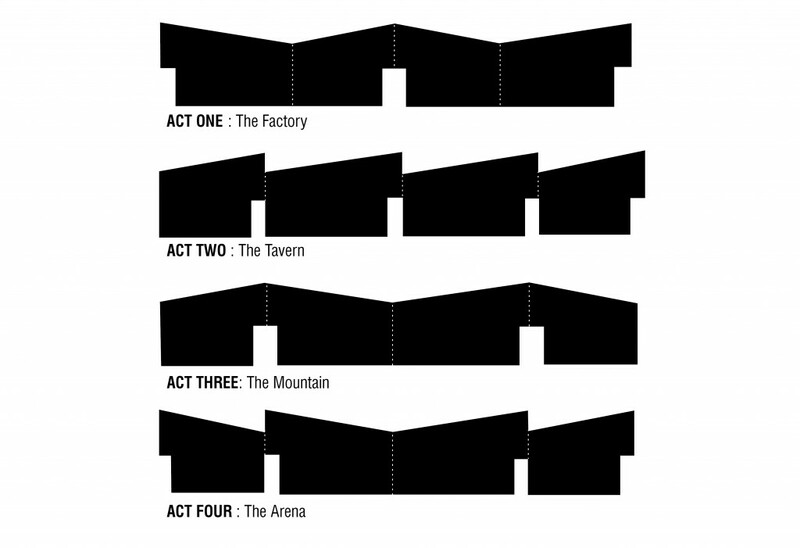 The opera is staged in four acts, each with its own environment – the Factory, the Tavern, the Mountain, and the Arena. 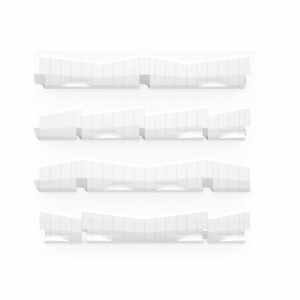 AGENCY created these four wildly distinct backdrops by designing a shared family of geometric forms, inhabited and illuminated walls which would signal the skylines and silhouettes of the scenic landscapes. The four environments reflect 19th Century paradigms of spectacle and control, while their fluid deconstruction echoes the transgressions of societal expectations and duties by the characters. 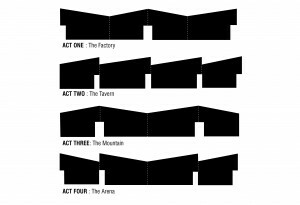 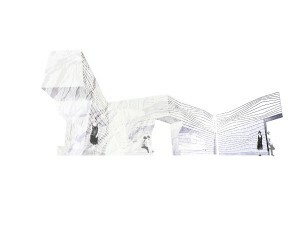 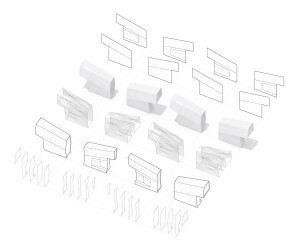 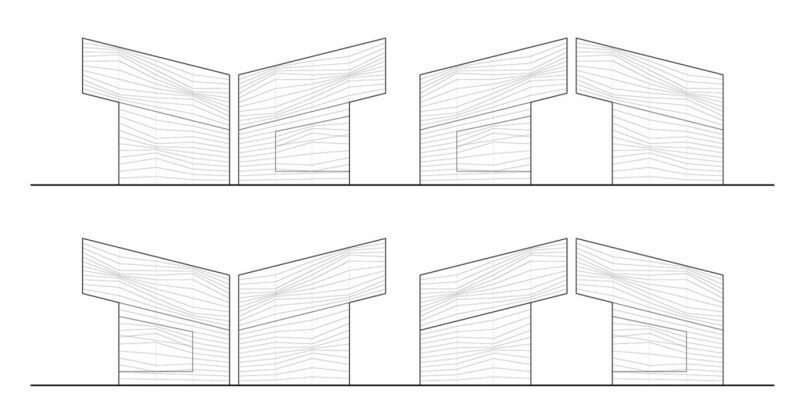 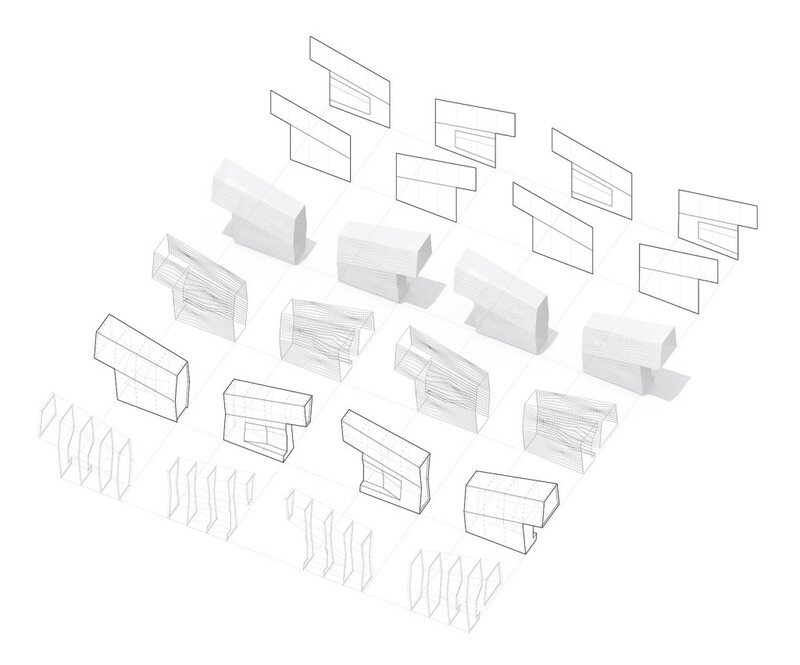 This dynamic set is composed of only four modules, which rotate and join together to evoke different identifiable skylines – the pitched roof of the factory, the ‘saw-tooth’ interior ceiling of the tavern, the rocky crags of the mountain, and the sweeping arcade of the arena. 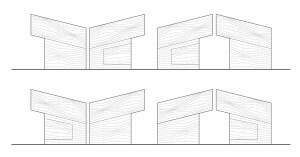 The top profiles are raked at carefully calibrated angles to ensure this variability. 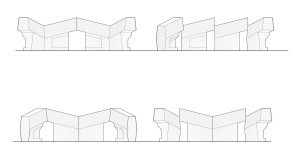 The sloping forms create an optical illusion, encouraging a foreshortened sense of perspective, seemingly enlarging the play-space of the stage. 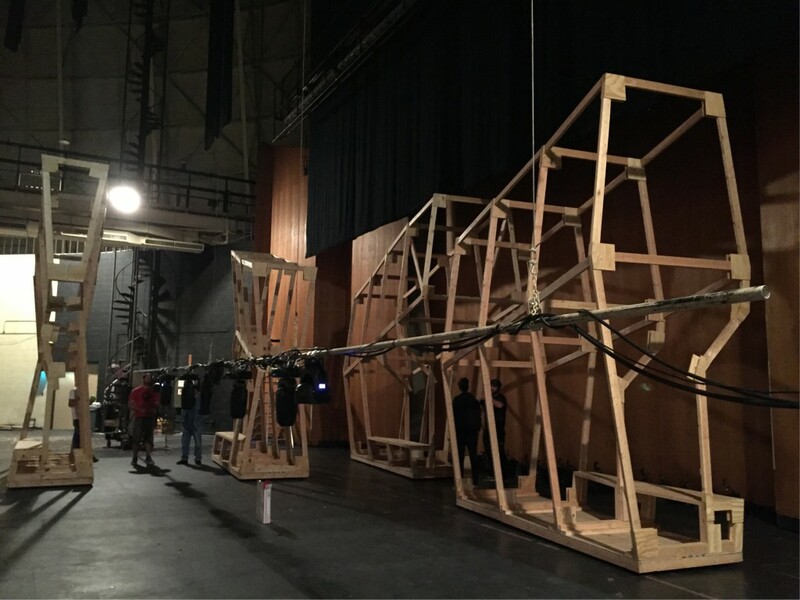 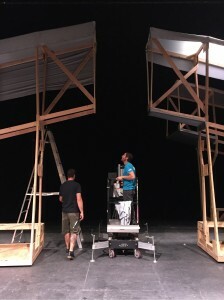 The tallest part of each module overhangs an open portal, allowing for the desired configurations of entrances and exits for actors to enter and leave the stage. 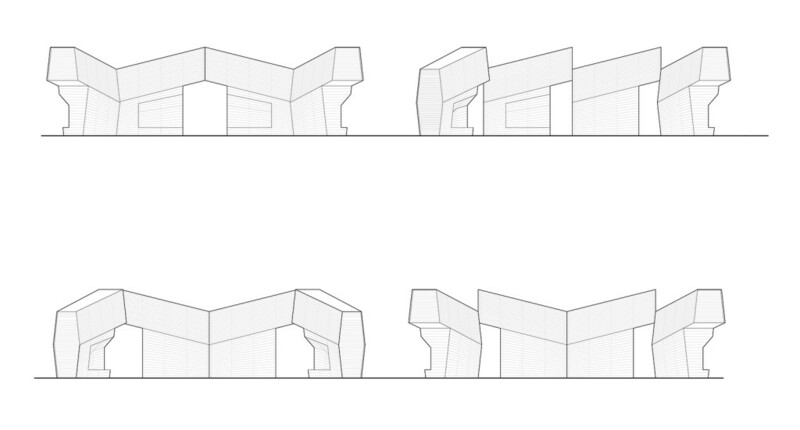 In some configurations, these portals are single, distributed, and narrow, allowing for the peripheral action of the tavern and arena, while in others large entrances are formed for larger, more centralized gatherings. 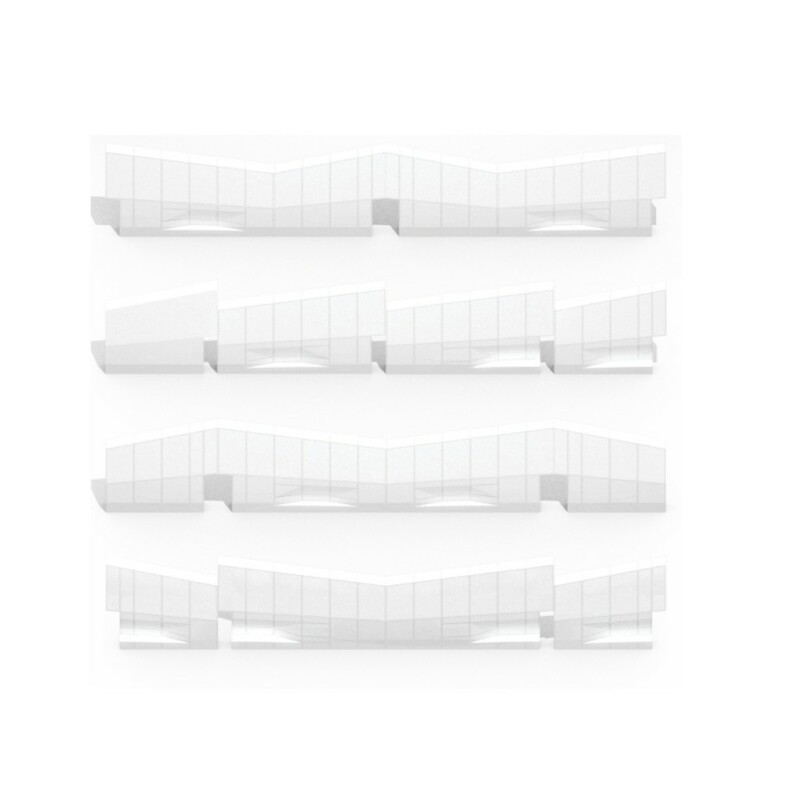 The modules are built with simple wood frame construction, modified to eight custom profiles. 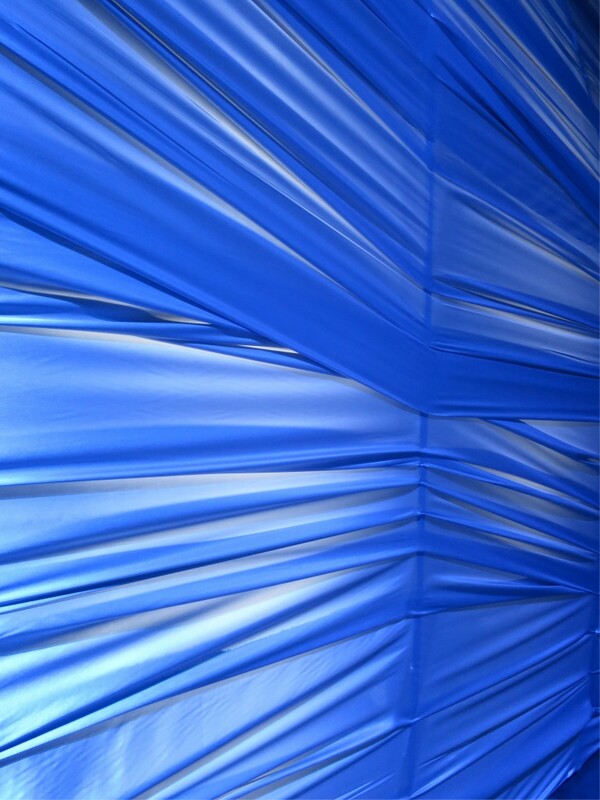 The frame is then covered with translucent satin fabric, creating a textured, pleated surface which simulates the coursed, geologic textures of the urban and natural environments they represent. 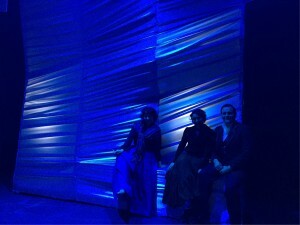 Stage lighting rakes the forms to create dramatic shadows across the pleats. 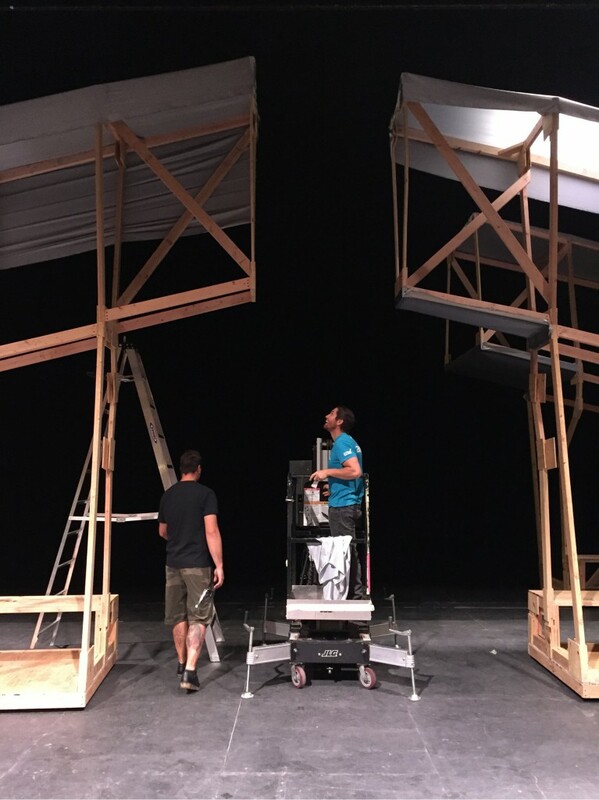 Lights are placed within the frame to give the forms an inner glow, transforming them into backlit lanterns for night-time scenes.